Welcome to Optics Den, the web’s best resource for information about sports optics of all kinds! We features, reviews, tutorials, buyer’s guides, and much more! If you’re looking for information about anything to do with binoculars, rifle scopes, or other kinds of optics, you are in the right place. Below you’ll find links to our most popular articles and reviews. If you would like information about a topic that you don’t see covered on our site, shoot us an email and let us know! We pride ourselves in having the web’s best rifle scope buying guide. Whatever your price range is, whatever your goals are, whatever experience level you are, you will learn something new by reading through that guide. And when you do, you will find yourself more than ready to purchase the new scope you’ve been looking for all this time. That mega guide will help you make some great buying decisions when looking for scopes. We also have lots of articles on sub categories of rifle scopes, like those specifically designed for long range or tactical situations. 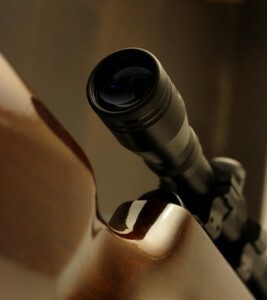 All in all, if you are trying to find information about rifle scopes, you are in the right place! Similar to our coverage of rifle scopes, we have an incredibly in depth buyer’s guide to finding the best binoculars. 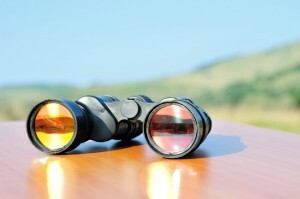 Some people use binoculars to stargaze or bird watch. Others haul them up steep mountains in the pursuit of that elusive trophy deer. Still others just want to use them for fun. Our guide will help you do all of those things and more. It will also give you information on which model is best for you. Spotting scopes are very popular optics to use when hunting, bird watching, or any other activity when you need to consistently view something that is further away than you can see with standard compact binoculars. They can be mounted to a tripod to allow for extreme stability, meaning you won’t have to worry about missing what you’re trying to see because of shaking hands. You can read our in depth buyer’s guide to spotting scopes here. An essential tool for hunters, marksmen, and archers, rangefinders allow you to quickly identify exactly how far away your target is. They are usually very compact and operate using lasers. While you’ll see inexpensive rangefinders on store shelves that make lofty promises, it is worth getting one that won’t malfunction when you are in the field. We have an awesome article on how to buy the best rangefinder that can help you find a quality optic. A somewhat niche sporting optic, trail cameras are designed to be left in an area a hunter thinks may be habitat for his prey, and will capture images when it detects movement in the area. They are very useful for determining the best spot to hunt when the season opens, and can be used to find out exactly how big of an animal you will encounter on that opening morning. We have great content on trail cameras, including a buyer’s guide and individual reviews. One of the most exciting technologies in the world of sporting optics is night vision. Recent advancements have made night vision a fantastic addition to your optical arsenal if you plan on hunting/scouting in low light conditions, as well as if you are using your optics in tactical situations. If you want standalone night vision devices, you might invest in a pair of night vision goggles or night vision binoculars, or maybe even a night vision monocular. Or, you could get a night vision scope that attaches to your rifle directly.